Puppies with pedigree are available for sale. They can be taken in December 2013. Welcome our website. Hope you will enjoy browsing, and find the information informative and interesting. Our Kennel name originates from our previous place of residence, the village of Gesztely int he county of Borsod-Abaúj-Zemplén. Since we moved to the westcountry of Hungary int o a small town called Zirc int he beautiful mountain area of Bakony. Looking on the map you will find Zirc near to the charming small town of Veszprém. Our love affair with the Komondors started in 1992, after seeing a photograph of these magnificent creatures, and we got completly captivated by their beauty and our corosity was awakened so we begun to learn about their iner qualitys once we got our first puppy called Bodvamenti-Zsinoros Aramis. We always had dogs mainly hungarian breeds like Kuvasz. 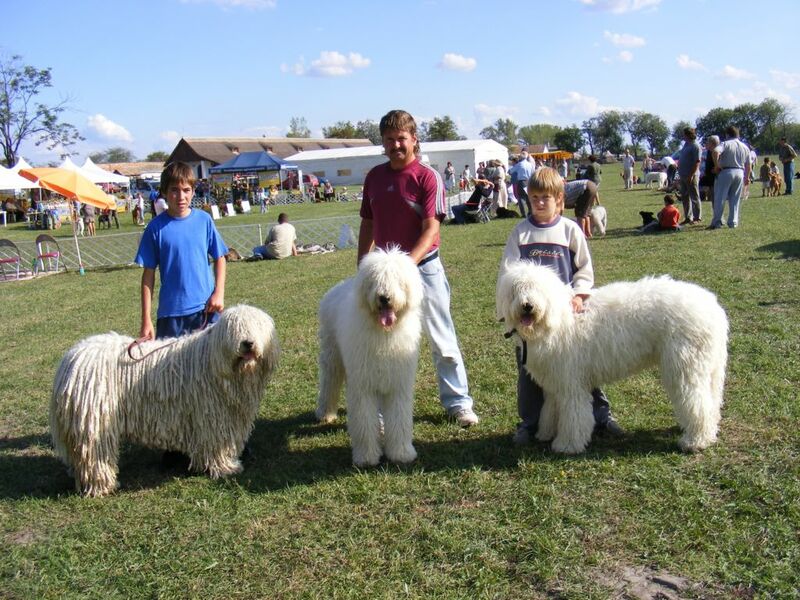 - But a Komondor all together a different thing!- Our two young boys attila and Richard grown up with Aramis as their playmate, and loyal and gentlegardian. and what a wonderfull choiceit turned out to be! The Komondors loyalty, love toward their master, familytheir livestock, is heartworming, and their keen sense of duty their strength and bravery driven by an intelligent, independent decision making mind, make them outstanding superb guarddogs. The Komondor this ancient hungarian sheepdog was kept throughout the centuries primary to guard farms and livestock which he carried out with precision, commitment and no fuss, and if the need arose, he shown merciless strength and courage even sacrifice his own life int he line of duty. He is devoted to his master, but olso independent, he is capable of making his own decicions and that makes him invaluableunusualsituations, but his gentle loving loyatly to his master makes him, a dignified equal partner. Sadly during the Second World War lot of them were killed prolecting their families, from any intruders, soldiers stangers entering their territory without the consent of their masters. After World War II a few dedicated Komondor –lovers helped to save the breed from near extinction, so the breed continued to exist, and slowly to regenerate. Today there are some 2000 Komondors in Hungary and there are about 350-400 pupps born yearly. It is now declared protected native breed of Hungary. The mysterious, magnificent Komondor is proudly considered to be one of Hungary’s treatures. There is more to see and read ont he following pages. 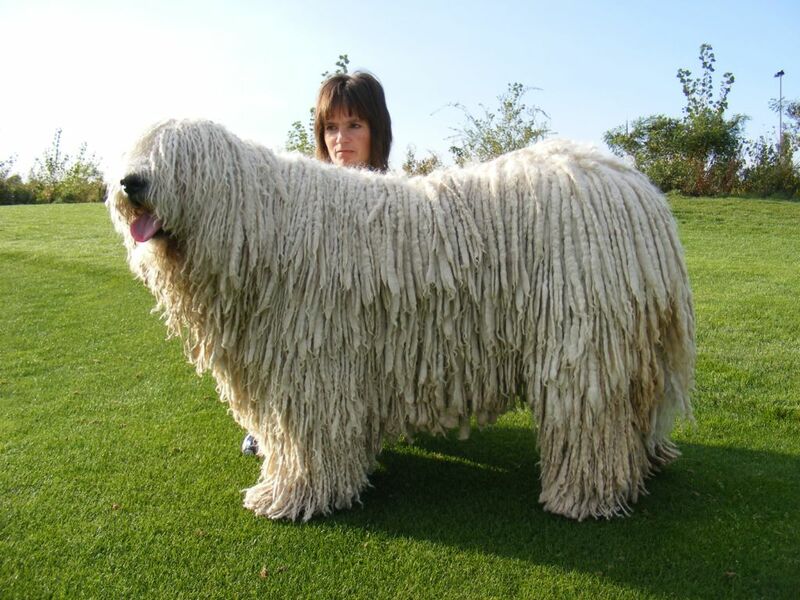 Please continue, and thank you for your interest in the Komondor.